The following article is presented by HBIC contributor Jerry Jones. Jerry has vast experience in China and writes a popular blog at www.thecultureblend.com. Check out his site to read more awesomeness. Hey good news. No matter what you’re feeling right now . . . you’re normal. If you are among the thousands of families who are in (or recently went through) the process of packing up your lives and relocating to China then I’m happy to tell you that whatever is going on inside that confused little head and heart of yours is absolutely, undeniably . . . normal. It’s normal to be excited. It’s normal to be scared. Stepping out into the unknown with children can be nerve wracking. So in the interest of pulling your expectations and reality a little bit closer together . . .
No doubt about it — Westerners love them some personal space. We’ve been trained from the earliest days of our lives that there is an invisible force field around us which no one is allowed into. If you stand in my space I get uncomfortable. If you drive into my space, I shake my fist and call you a moron. If you listen into my space you are eavesdropping (jerk). If you look into my space I can fight you. We learned from our mothers that staring at weird things is rude (unless, of course, the weird things you are staring at don’t know you are staring). Personal space has consequently become one of our most precious values. In China (suffice it to say) it is less of a value and guess what . . . you are one of the weird things. It’s pretty common for foreigners (like yourself) to get frustrated by curious onlookers who are breaking all of the personal space rules that they have grown to love deeply. Old men who stand three feet away and stare incessantly. Old ladies who tell you to put more clothes on your baby. Mothers who grab their kids, point and say, “there’s one, there’s one!” Crowds that gather to take your picture. In some form or another your personal space will be invaded. Count on it. Don’t be ugly: Expecting China to conform to your version of what equals rude is not only unfair, it is unlikely to change anything. You’re the visitor. Learn how to show respect (their version). Don’t over think it: You’re not a freak of nature nor are you a superstar. If either of those walked by they probably wouldn’t even notice you. There are just a different set of rules surrounding space ownership and you may be the most interesting thing in their space at the moment. Don’t exaggerate: ALL of China does not stop and stare when you enter the room. 90+% are likely unconcerned by your presence. That number goes down when you move to the country side or a tourist hot spot but generally speaking you’re not the most fascinating thing in China. More good news. Your kids are normal too. Some kids love the limelight. Posing for pictures with perfect strangers and practicing English with three year olds in a crowded supermarket is fun for them. In my experience those kids are the exception and not the rule. It is not the least bit uncommon for kids to be overwhelmed and even stressed to anger by the constant attention. Your dual role as Mother Hen and Yoda may be stretched. As Mother Hen nothing tweaks you more than people stressing your kids out and protecting them is your highest calling. As Yoda you feel tremendous pressure to cultivate these impressionable young minds into kind, compassionate global citizens. Forcing your kids to “perform” when they are irritated or embarrassed is a great way to build resentment. Snapping at curious on lookers is a great way to drive a wedge between two cultures and build the understanding in your kids that they are better than the people around them. It’s not easy but striking the balance is key. Show your kids that they are your top priority but teach them to respond with respect and politeness. Even if the answer is, “no I don’t want to have my picture taken”, show them how to say it without anger and without causing a loss of face. Know your kids: With children feeling confused, terrified and helpless can look exactly the same as being a spoiled brat. As a parent your job is to know the difference and to provide guidance accordingly. 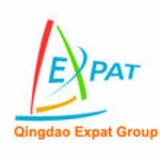 Know China: Be a constant explorer of Chinese culture and never be satisfied with what you have learned. There is always more to it. The more you know the more equipped you will be to both help your kids make sense of the confusion and be gracious and respectful to your hosts. Know People: Sometimes it’s not a culture thing. People everywhere are both different and very much the same. Respect may be received and understood through cultural filters but once it is received it is universally powerful. Answer this question: What are the skills, values and experiences that you want your kids to gain while they are in China? How long do you have to work on it? There is no rocket science here but most people never do it. 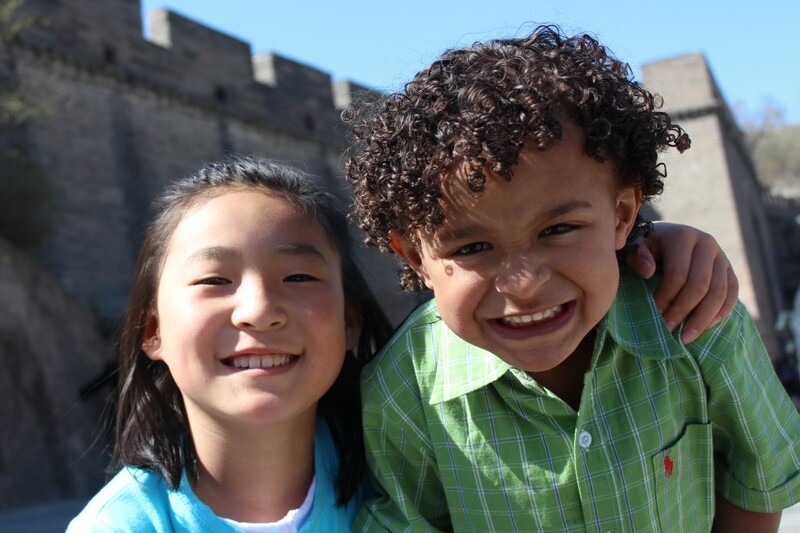 Carve out some time and think it through as a family on the front end of your China journey. Skills – What do you want your children to be able to do when they leave China that is best learned while you are there? Speak Chinese? Play Chinese Chess (the real kind)? Cook your favorite dishes? Values – What are the character traits that you want to be built into your kids through this experience? Respect for other cultures? Adventurous eating habits? Thinking globally? Experiences – What do you want your kids to experience first hand while you are living in China? Spring Festival with a Chinese family? Traveling to other parts of Asia? Serving people in poverty? This is the kicker. None of these things just happens because you live in China. Thinking through your time at the beginning will help you determine what it takes to get them done and what the course of action is for ensuring that you hit your goals and help your kids grow through this time. There is a commonly held sentiment among many expat parents living in China that is hard to believe until you’ve experienced it yourself. Even among the space invaders, the hair touslers, the unsolicited advice givers, the incessant starers and the random strangers offering candy to your kids on the street . . . China often feels safer than home. My disclaimer is this – there are bad people everywhere and you should protect your kids. China has it’s own issues. Don’t be surprised if your pocket gets picked on a crowded bus or your bike gets stolen while your ordering a Big Mac but once you settle in and learn the rules you will likely enjoy less anxiety about creeps, lurkers and violent criminals than you do in most comparable urban areas around the world. Simply put — don’t coach your kids on what is gross or weird or disgusting or “normal”. If health or safety or morality is not an issue then let them explore and arrive at their own conclusions. They’ll figure it out and develop some important life skills in the process. Food is part of it but there is also a bigger picture. Depending on their age and experience they have the opportunity to draw from the best parts of at least two different cultures (often more). As a kid that experience translates into a broader palate and some really cool experiences but it grows up into the ability to be a bridge between entire groups of people who might otherwise struggle to understand each other. Your kid is learning to judge based on how much you wrinkle your nose. Want your kids to love their time in China? Then love your time in China. It’s a simple formula really. They are programmed to take their cues from you. When you have a bad day and blame it on China they will learn to do the same. When you yell at people for staring they’ll know that staring is rude but yelling is ok. When you withdraw and crawl under a rock they’ll make a mental note about how to deal with stress. Want them to learn Chinese? Learn Chinese. Want them to be adventurous? Be adventurous. Want them to make Chinese friends? There’s no guarantee that China will be great for them but the chances of that happening are astronomically higher if it’s great for you. We’re really just scratching the surface here but if this is helpful spend some time chatting about it with your family. If you know someone who is raising (or is about to raise) kids in China, pass it on. And if you’ve been there and done that don’t be stingy — What tips do you have for raising kids in China? Jerry is a husband a father a writer and a trainer who helps prepare people for life as foreigners in China and around the world. He, his wife and two children recently returned to the U.S. following seven years in China where he trained Chinese professionals to work with Westerners and Westerners how to thrive in China. He currently lives in Richmond, VA (USA) and works with Leadership Development International as a trainer and coach to staff who are transitioning into expat life. Jerry regularly writes on his blog, www.thecultureblend.com. Really interesting article. Now I see things differently. Thank you. “Want your kids to love their time in China? Then love your time in China.” Will definitely take this to heart. It would be nice to also include a point about the habit of chinese rushing and pushing past you or seemingly wanting to run you over while you’re crossing the street with/out a baby stroller. That really annoys me and my husband. Awesome post, Jerry! Thanks so much for contributing!